"My son’s story is one of hope, not unlike the stories regularly broadcast on television, printed in magazines or making the rounds on YouTube. Yet the autism spectrum is wide and diverse, and many who suffer from severe autism will never reach the level of functioning that my child has achieved. Although these people are also part of the story, we rarely hear their stories." "We must see the pain of a parent who watches her child smash his head against a concrete wall, who throws himself on the floor of a store because he simply cannot stand the fluorescent lights another second; the person who starts violently screaming because the crowd getting off the subway terrifies him. We must feel the anguish of compassionate caregivers when everyone around is staring at their loved one with horror and judgment. We must comprehend the grief of parents who are forced to acknowledge that their children may never be able to care for themselves, and we should consider all the future decisions and worry that realization encompasses. Many personal stories about autism make us smile and renew our faith in humanity. But some stories will make us cry. They should, because autism can also be terrifying and hopeless. This side of the spectrum still lurks mostly in the shadows. But to fully understand why we search so exhaustively for answers and doggedly seek a cure, these stories must be seen and heard, too." The Conor Countdown continues, as Conor gets up each day at 6 am and changes the number reflecting the number of days until school resumes. 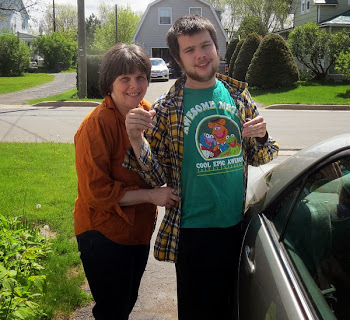 My son Conor, and his autism disorder disability, have been well accommodated in schools here in Fredericton, New Brunswick, Canada. 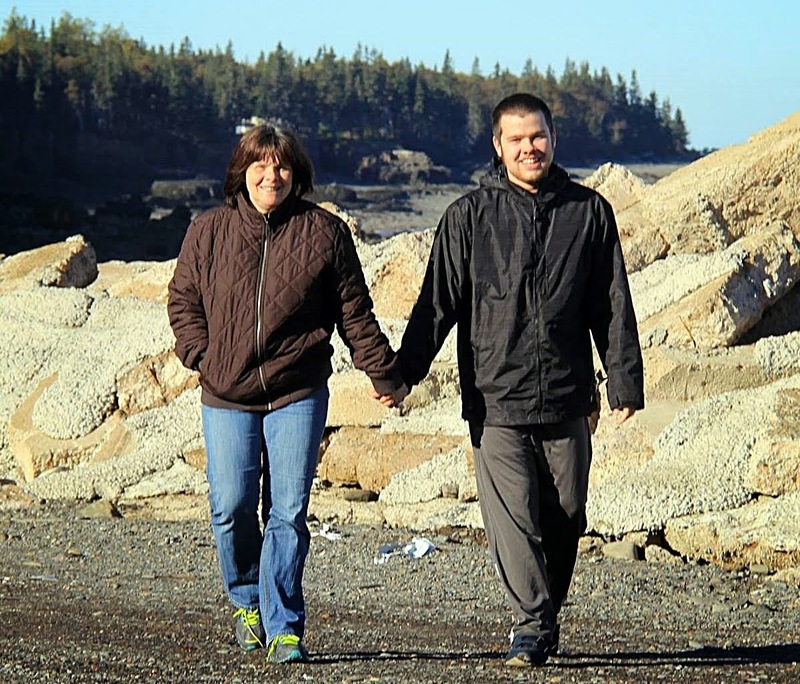 He has benefited both from the assistance of education aides and resource teachers trained in the UNB-CEL Autism program and by placement, at our request, outside the regular classroom for his ABA based instruction. His placement is not segregation in the sense of the racial segregation which once prevailed in the American south. His placement reflects the fact that Conor's autism based sensory sensitivities and need for predictable routine, coupled with his individualized learning style and instruction methods require a quieter learning environment. In the regular classroom, early in Conor's education, he bit his hands every single day until he was removed to a quieter location where the self injurious biting ceased. Now in high school his individualized instruction continues but he has many, many opportunities for socialization at the Leo Hayes High School Resource Centre with other students with special needs, in common areas and activities like school outings, visits to the cafeteria and ... Conor's favorite by far ... in weekly visits to the Nashwaaksis Middle School swimming pool. Conor loves his flexible, evidence based schooling so much that the summer, with no school, is a difficult time for him. We do our best to help him during this period and Conor does his best to help himself. 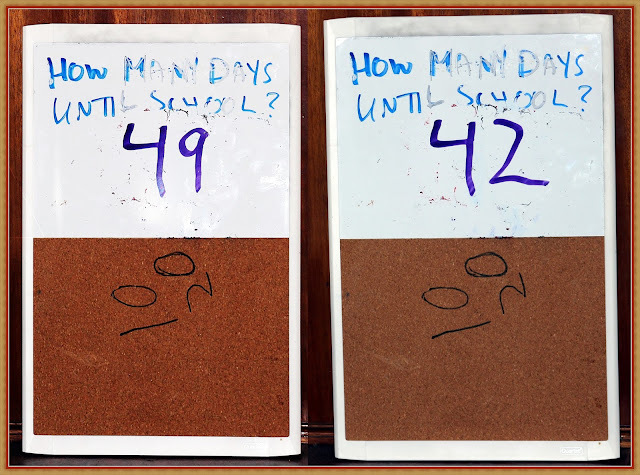 One of the activities that helps him get through the summer break is the "Countdown". Each day, every day, at 6 am Conor gets up and changes the number on his board under the question "How Many Days Until School?" He can see the number getting smaller each day, he can take steps each day to make the number smaller reducing his anxiety and frustration. Conor's self injurious biting while placed in the regular classroom was a vote against the extreme, non evidence based "regular classroom for all students" philosophy. Now, during the school year Conor packs his lunch bag every night and puts it in front of the side door to the driveway and Dad's car. During the summer Conor does his "How many days until School" countdown. Both activities are strong compelling statements from Conor in support of the flexible, evidence based, inclusive education he has received at school since being removed from the regular classroom. Run Jump Fly Boy Is Back - Thank You Again DECH ICU! A few months ago, Conor was lying unconscious in a bed at the Intensive Care Unit of the Chalmers' Hospital (the DECH) with tubes running out of his body and hooked up to 10+ year old monitoring equipment. Notwithstanding the age of the monitoring equipment the fantastic DECH ICU team brought Conor back to us without any restrictions or impairments. Conor's recovery has been constant since his release and we are happy. Today on the trail Conor hit the final recovery benchmark with the return of our Run, Jump, Fly boy! 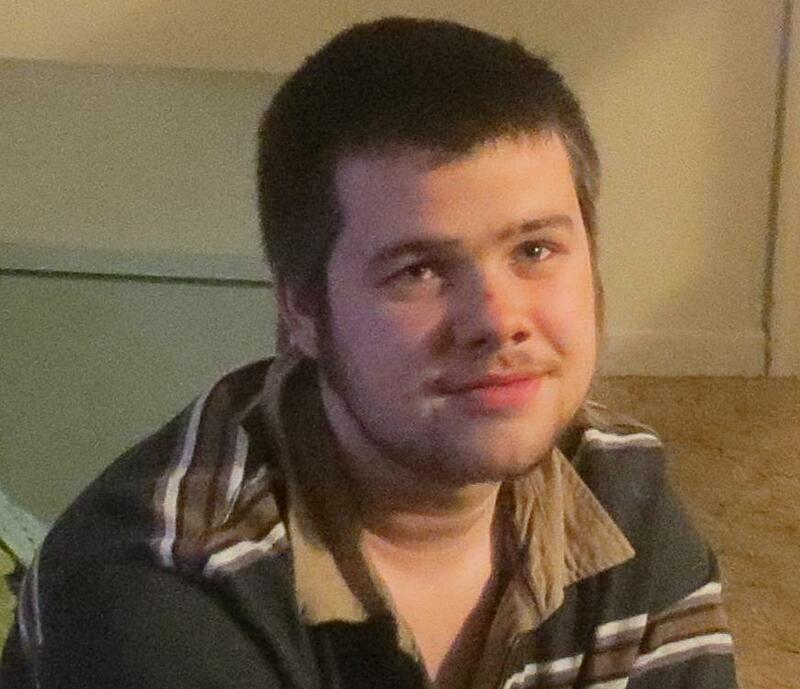 The picture above, for those visiting my blog for the first time, is my son Conor now 17+ years old. I love him dearly and he brings great joy into my life every day. He is also severely autistic with severe cognitive challenges (intellectual disability) and like many with those characteristics he also suffers from epileptic seizures. As great a joy as he is he also engages in acts of self aggression and suffers from sensory challenges, meltdowns and obsessively repetitive behaviors that are very disruptive in themselves. For Conor his autism is not a joy, a blessing, a superior ability or a different way of thinking. It is a serious disability, a disorder, and his intellectual disability and epileptic seizures are not "co-incidences" or "co-morbidities". They are part of his reality, a unified part of his reality, together they limit his life expectancy. Those are all facts that I have been determined to face throughout his life so that I do not do him a disservice. I will never run from Conor's reality because to do so, as it would for an obvious, physical disability, could be harmful to him. I have chosen long ago not to embrace the non evidence based belief that if I only pretend that autism is a blessing that somehow that belief will magically transform reality. I have helped Conor by being part of his life and enjoying his company every single day and will do so as long as I live. I have tried to help my son, and others in my province and country who suffer as he does, through determined advocacy, by facing reality head on. And I will continue to do so as long as I live. Others can choose political correctness and feel good cliches. 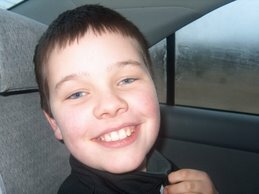 I will continue to deal with autism ... reality ... and love my son as I do. 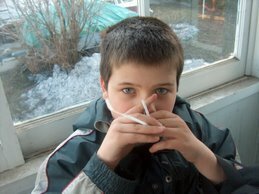 Autism`s 40% With Intellectual Disability? Auti$m $peak$ Doesn't See YOU, Doesn't Speak For YOU! Autism Speaks has done much to create publicity around the word autism, the color blue, puzzle pieces and ... some very talented, high functioning individuals with autism diagnoses like Alex Plank and J. E. Robison. In terms of its public statements and presentations though it does little to nothing to raise awareness about one very basic fact: autism has a very close relationship with intellectual disability to the extent that 40% of persons with autism spectrum diagnoses (DSM-IV) also have intellectual disability. 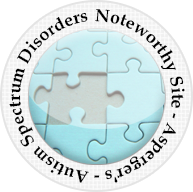 Prior to the DSM-IV and prior to the addition of PDD-NOS and Aspergers persons with intellectual disability constituted the vast majority of persons with autistic disorder. 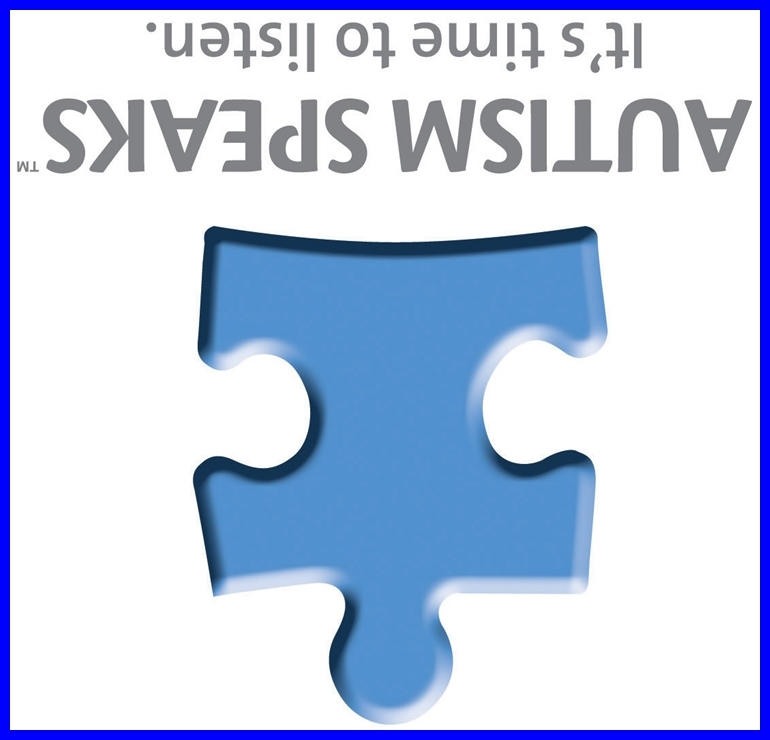 Autism Speaks has reluctantly acknowledged that 40% of persons with autism have intellectual disability but does not reflect their existence in their press releases. Autism Speaks conflicted attitude toward those with autism and intellectual disability was illustrated vividly in the recent Drake and J. Cole lyrics uproar when Autism Speaks defended persons with autism but not those with autism and intellectual disability. Instead of criticizing the rappers for their derogatory reference to persons as “autistic, retarded." Autism Speaks went further and argued that in fact persons with autism are very successful and talented. No mention was made in the Autism Speaks press release of the 40% of the autism spectrum who are intellectually disabled even though the words "mentally retarded." have been replaced by the words intellectually disabled. "Lyrics from the recently released song “Jodeci Freestyle” from hip hop artists Drake and J.Cole have many in the autism community up in arms. The song, which was released last month and is now getting airplay, contains the following lyric by J. Cole: “I’m artistic, you n----s is autistic, retarded." These lyrics are offensive and perpetuate negative stereotypes. There are many inspiring individuals with autism and other disabilities who have achieved great success across a variety of artforms, including music. We encourage J. Cole to recognize their talents and learn from the positive example they have set for all of us." This is not the first time Autism Speaks has chosen to ignore the intellectually disabled 40% while promoting the very, very, very high functioning elite members of the autism spectrum like J. E. Robison and Alex Plank. There is almost never any mention of the intellectually disabled in promotions and news releases by Autism Speaks or on their web site. 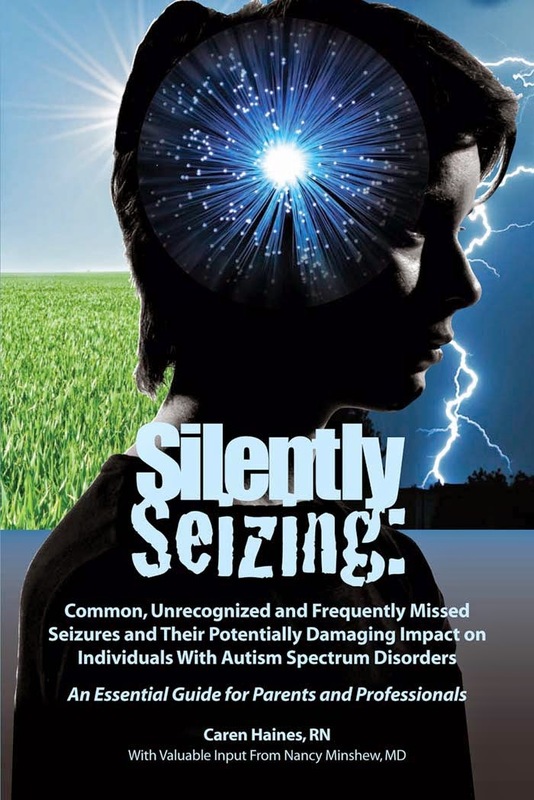 I have previously noted that Autism Speaks has only reluctantly acknowledged the existence of intellectual disability on the About Autism section of its web site burying mention of 40% with ID in the middle of the page, book ended by references to those with high IQs and abilities. 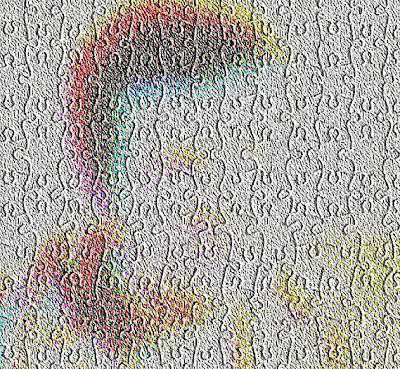 In the "rapper incident" AS went further than just ignoring those with autism and intellectual disability. They implied that persons with autism, all persons with autism, are in fact talented, successful people. They were ashamed to mention and defend the 40% with autism and Intellectual Disability. The rappers have offered sincere apologies and taken steps to address the issue by changing the lyrics. Rapper J. Cole even acknowledged the existence of those with severe autism and their families. By their actions Drake and J. Cole have shown themselves to be ahead, light years ahead of Autism Speaks in caring about ALL persons on the autism spectrum including the 40% intellectually disabled. 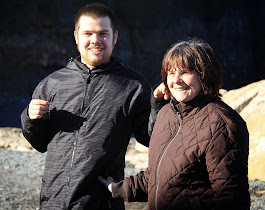 Anyone described as "having autism" or "being autistic"
My 17 year old son Conor who was diagnosed 15+ years ago with "autistic disorder" (now autism spectrum disorder) and profound developmental delays ( a euphemism for intellectual disability) is truly a gift. Conor brings great joy to our lives as shown on the sample pictures that follow. 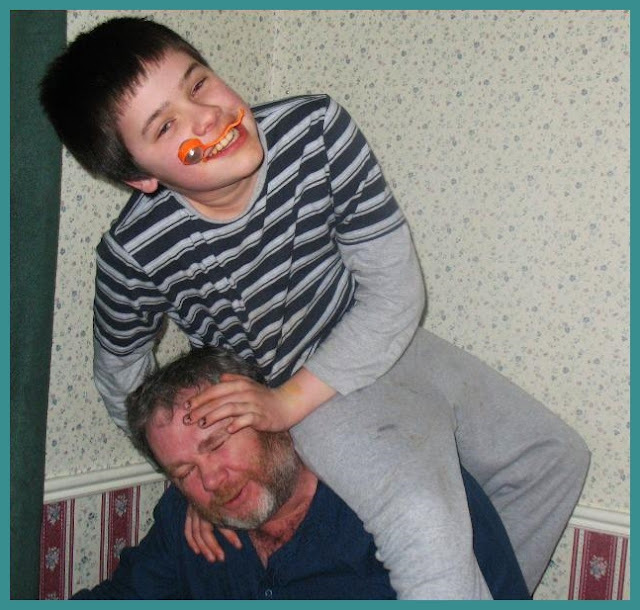 While Conor is a joy, however, his autism disorder is not. Nor is his autism disorder a GIFT or a SUPER ABILITY. Conor's autism is a disability and a disorder and that is WHY he received a medical diagnosis of autism (autistic disorder). While there may be some autistic individuals with special gifts he is not one of them. 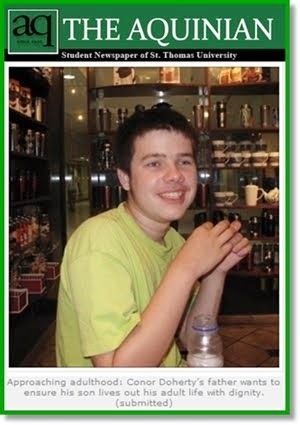 Conor is one of the 40% of persons with autism and intellectual disability. As you probably know that combination also makes him more likely to suffer from epileptic seizures and indeed Conor has suffered two grand mal seizures in six months. He also suffered a life threatening reaction to his anti-seizure medication at the time. Other challenges brought by his autism disorder are wandering, self injurious behavior (self biting and head banging) and obsessive behaviors. There is abundant literature indicating that those with autism, ID and epilepsy are at particular risk of shortened life expectancy. Drake and Cole deserve to be admonished for their denigration of persons with autism AND for their denigration of persons with intellectual disabilities. The solution, however, is not to circulate a petition which claims that autism is a gift or a super ability. In doing so you mislead the public about serious, challenges faced by the vast majority of persons with autism DISORDERS. If you continue to misrepresent autism to the world you will probably cause harm to people like my son who in fact suffer from their autism disorders. 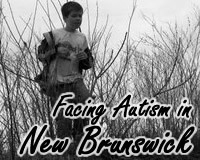 I have been advocating publicly in my home province of New Brunswick, Canada for 15 years with other parents and we have achieved some success in ensuring that NB children with autism receive evidence based early intervention and that autistic students receive assistance from autism trained education assistants and resource teachers. I have visited two psychiatric hospital facilities and met severely autistic adults living out their lives in those institutions and I continue to advocate for modern residential care and treatment options for adults with autism. Any successes we have achieved, or hope to achieve, are based on presenting accurate, informed, evidence based portrayals of the realities of autism disorders to government decision makers and to the public at large. Portraying autism as a gift misleads everyone about the real challenges faced by many with these very serious disorders. Please reconsider your misleading public characterization of autism as a gift and super ability and acknowledge clearly that autism disorders are exactly that ... disorders. 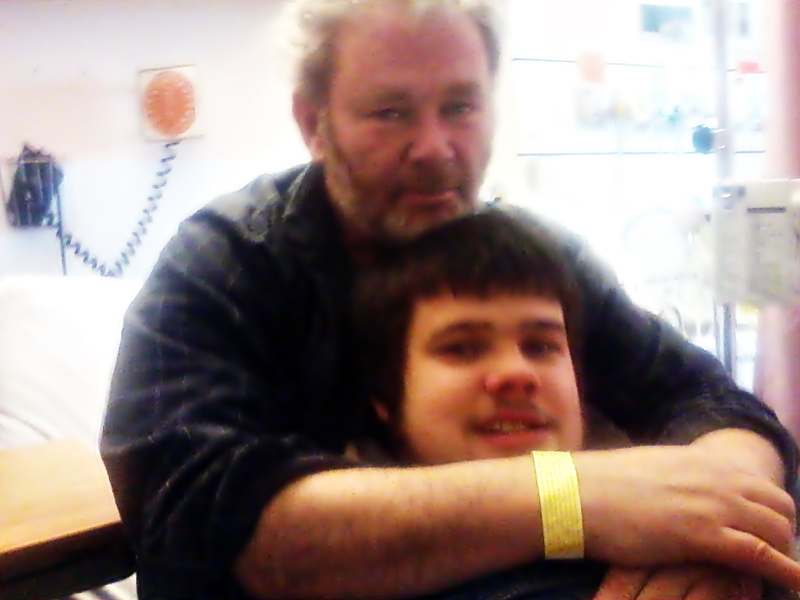 My son is a gift, his autistic disorder is not. Conor & Dad, couple of hosers enjoying the snow, eh? 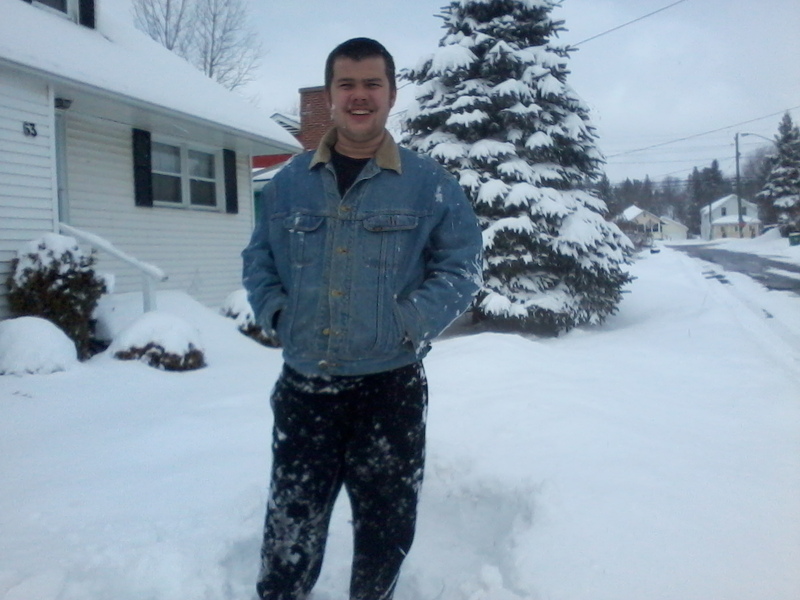 Conor enjoys a late March snowstorm eh? 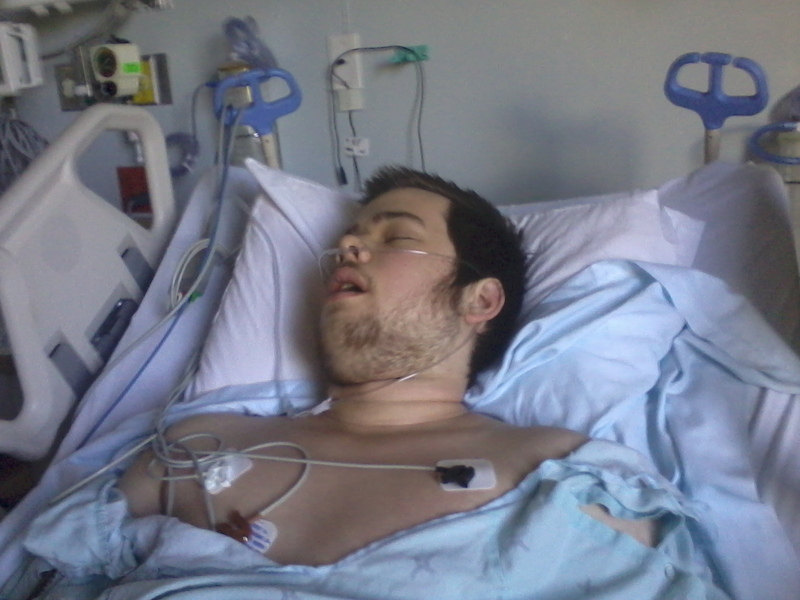 Just days after Conor was running, jumping and flying down the trail he was taken by ambulance to the Chalmers Hospital in Fredericton where he spent 6 days in the Intensive Care Unit, and a total of 2 weeks in hospital, as a result of a life threatening adverse reaction to his anti seizure medication. Many thanks to the incredible doctors, nurses and staff at the Chalmers Emergency and Intensive Care Units for saving our Conor. Conor didn't take too long to fully recover and there was no better way to show it than heading out on the trail with Mom and Dad ... where he had to wait from time to time for us to catch up. Looking forward to lots more fun with Conor on the trail and elsewhere in 2013. I hope he continues to enjoy the wonderful outdoor environment that Fredericton and friends like the Ospreys shown below offer. In yesterday's commentary Autism Speaks Joins Drake And J.Cole In Insulting 40% With Autism AND Intellectual Disability I criticized Autism Speaks for stigmatizing persons with Intellectual Disability, particularly the 40% of persons on the autism spectrum with ID, the 40% that Autism Speaks seldom acknowledges in its promotions and literature. I received the comment, posted above, from BLOOM - Parenting Kids With Disabilities editor Louise Kinross that expresses my issue with Autism Speaks' approach to intellectually disabled members of the autism spectrum better than I did. It would do Autism Speaks and the autism community it purports to represent a great service to give serious consideration to Louise's comment. Autism Speaks has joined rappers Drake and J. Cole in insulting persons with Intellectual Disability particularly the 40% of the autism spectrum with intellectual disability. The rappers had published song lyrics referring in an insulting manner to persons who are "autistic, retarded". Autism Speaks did not simply criticize the rappers for denigrating persons who were autistic or intellectually disabled. Autism Speaks criticized the rappers for perpetuating negative stereotypes and for failing to recognized the many persons with autism and "other" disabilities who have enjoyed great success and talents. Presumably it would have been OK in the view of Autism Speaks if the rappers had mocked only the 40% with intellectual disabilities or those who were not successful or did not display exceptional talents. It is not clear to this father of a severely autistic son with profound developmental delays, who lacks an exceptional talent, who Autism Speaks for but it clearly does not speak for my son. 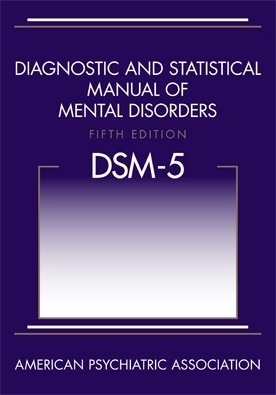 "The fifth edition of the diagnostic and statistical manual of mental disorders (DSM-5) (APA in diagnostic and statistical manual of mental disorders, Author, Washington, 2013) has decided to merge the subtypes of pervasive developmental disorders into a single category of autism spectrum disorder (ASD) on the assumption that they cannot be reliably differentiated from one another." I agree with the observations of Tsai, Ghazuiddin and Dr. Waterhouse. I have none of their outstanding academic and research qualifications. 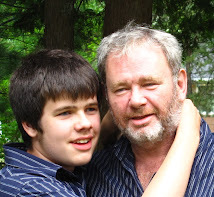 I am a humble Canadian labour lawyer, the father of a severely autistic 17 year old son, with "profound developmental delays" who has, like 25% of those with severe autism and intellectual disability also suffered from serious grand mal seizures. 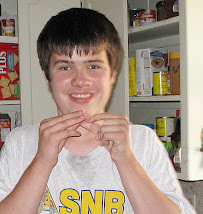 My 17 year old son, who I love dearly, whose joyful visage adorns the sides of this blog, reads at a Dr. Seuss level. He is not autistic in the manner of a Michelle Dawson who appeared at the Supreme Court of Canada to argue as an "autistic" against the parents from British Columbia who were seeking Medicare coverage for evidence based ABA treatment for their autistic children. My son is not autistic in the manner of an Ari Ne'eman who graduated from university, founded a corporate entity called ASAN, participates as a member of the IACC and lectures journalists on what it means to be autistic in a meeting of the Washington press corps. I don't have the academic autism credentials of the distinguished names mentioned above. I do have credentials as an autism father who has loved and cared for a severely autistic son for 17+ years. I have credentials as an autism advocate who, in my home Canadian province of New Brunswick, has advocated with other parents with success for early evidence based intervention for autistic children, autism trained Teacher Assistants and for the continuation of a tertiary care autism center for NB children and youth when threatened with closure by bureaucratic decree. In my continuing advocacy for autistic adults I have visited psychiatric hospitals where they have lived in the absence of a residential care system to meet their needs. I have conducted many meetings with other autism parents as the Autism Society New Brunswick and met many autistic children and adults from my son's severe end of the spectrum to the very high functioning "Aspergers" end. What my experience, what my daily life for 17+ years has always told me, is that there are vastly different realities facing those on the autism spectrum. There is no evidence justifying the lumping together of these hugely different realities under the label Autism Spectrum Disorder. 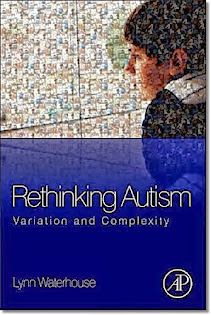 To borrow the words of Dr. Waterhouse autism to any reasonably informed observer is marked by heterogeneity and complexity. As Tsai and Ghazuddin have said the DSM-5 ASD is counter to evidence and is based on the assumption that "they cannot be reliably differentiated from one another." That assumption is not just wrong. It is in the humble opinion of this informed autism father a ridiculously false assumption. 40% Intellectual Disability In Autism Disorders: Coincidence or Consequence? I have never subscribed to the assumption that Intellectual Disability is a co-morbidity as described by the authors of a new study examining Intellectual Disability in Autism: (unrelated in etiology and causality from the ASD itself) I have been frustrated by the historical tendency of "autism" researchers to exclude intellectually disabled autistic subjects from their research studies. I am very disappointed with Dr. Lord, Dr. Swedo, Dr. King and other APA members for their efforts to further the artificial disassociation of Intellectual Disability from Autism Spectrum Disorder (s) in the DSM5. I have always believed, as the father of a severely autistic son with "profound developmental delay", and contrary to the "autism as strength" ideology of Dr. Laurent Mottron and Michelle Dawson, that autism and intellectual disability are inseparable components of my son's condition. I am very pleased to see reports of a new study, as set out in this brief online paper by the authors of that study, which begins to examine the ID and ASD relationship front on and with complete intellectual honesty. I hope that the proof of principle resulting from the study that "ASD symptom severity contributes to the extent to which the environmental input required to support “typical” brain development can be processed by the individual, so that the risk of developing ID increases as the number and severity of ASD social-communicative impairments increase" is pursued further and that additional research on this topic is not squelched by the political correctness of those who control autism research funding dollars. I also hope that researchers study the ID in ASD issue from different perspectives: that the ID increases the severity of the ASD symptoms and that ID and ASD are simply different aspects of one condition. This humble father does not believe that my son's severe autism symptoms and ID are separate coincidental or "comorbid" conditions. I am pleased to see these "down under" Austalian researchers joining the ranks of the few with the intellectual honesty and curiousity to study the Intellectual Disability component of autism symptoms and disorders. The presence/absence of Intellectual Disability (ID) is considered to be the most critical factor affecting outcomes in individuals with Autism Spectrum Disorders (ASD). However, the question of the specific nature of ID in ASD has received little attention, with the current view being that ID is a comorbid condition (i.e., one that is unrelated in etiology and causality from the ASD itself). Recent advances in developmental neuroscience, highlighting the importance of early exposure to social experiences for cognitive development, support an alternative view; that ID in ASD might emerge as a consequence of severe social-communication deficits on the experience-dependent mechanisms underlying neurocognitive development. We tested this prediction in two independent samples of young children with ASD (Ns = 23 and 60), finding that children with greater ASD severity at an initial assessment were more likely to present with poorer cognitive outcomes at a later assessment, irrespective of initial cognitive level. The results of this proof of principle study suggest that ASD symptom severity contributes to the extent to which the environmental input required to support “typical” brain development can be processed by the individual, so that the risk of developing ID increases as the number and severity of ASD social-communicative impairments increase. 10 Years of NB Government Inaction On Adult Autism Care: Is It Possible Our Elected Leaders Just Don't Care? Today New Brunswick still needs appropriate residential facilities to meet the individual needs of NB adults with autism, particularly those with severe symptoms including sensory challenges, obsessive routines and self injurious behaviors. An adult autism care network with a center for permanent care and treatment for those most severely affected by autism disorders and expertise available for autism group home care around the province was proposed by UNB Professor Emeritus (Psychology), clinical psychologist and autism expert Paul McDonnell in 2010. That proposal would also build on the success enjoyed by New Brunswick in early intervention and school services; areas which also need improvement but have been recognized as models worthy of emulation. The McDonnell proposal has received no serious consideration from NB's current government. That was made clear to me in a pre-Christmas 2012 chat at Kings Place with Ken Ross, Assistant Deputy Minister of Health. When I raised autism issues for discussion with Mr. Ross and indicated ASNB's interest in adult autism care with him he diverted the discussion by asking questions about ASNB's organizational status even though ASNB is the most transparent disability advocacy group in NB, is totally conflict of interest free in that it receives no financial subsidy from the government, and operates, unlike another major community organization, at arms length from government. While not being financially indebted to the government ASNB has consistently invited government and party leaders to ASNB meetings, an offer which has been recently been taken up by EECD Minister Jody Carr and NDP Party Leader Dominic Cardy. Mr. Ross's attempt to change the conversation was exactly the same tack he took over a decade ago when ASNB was advocating for evidence based early intervention for New Brunswick's autistic children. 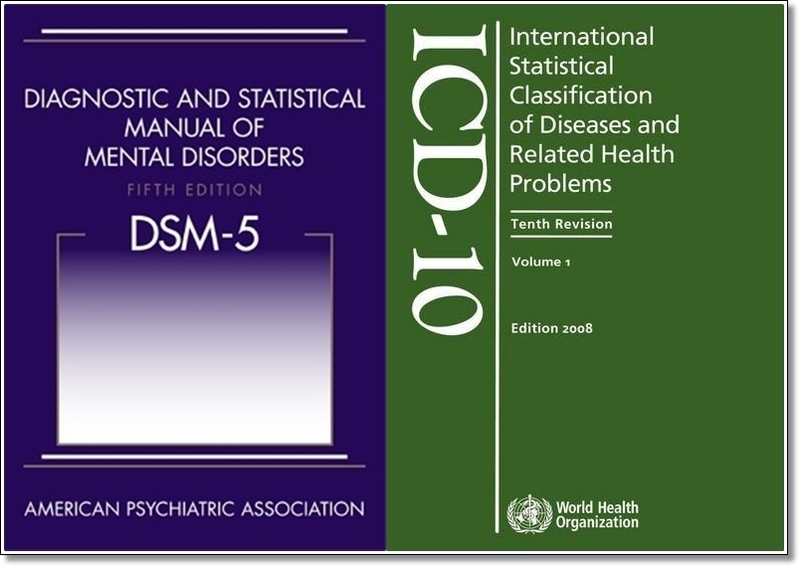 Ultimately the Department of Health transferred responsibility for providing early intervention to the Department of Family and Community Services as it was then called even though autism disorders are, and were, recognized as mental health disorders by the Diagnostic and Statistical Manual of Mental Health Disorders versions, IV and 5. We did ultimately get back to adult care in our pre-Christmas discussion but there was no indication from Mr. Ross that he was even aware of the network proposal suggested by Dr. McDonnell, a proposal which was consistent with positions taken over the past 10 years in meetings with and submissions to the Province of New Brunswick. Ken Ross is not an elected official but he is a key autism adviser to New Brunswick ministers of health over more than a decade. His lack of professed awareness of the ASNB or McDonnell positions is a strong indication that our elected officials have either ignored or outright rejected the proposed modern autism adult care network whether they were, or were not, acting on Mr. Ross's advice in doing so. While NB has done much to help autistic children and students our governments simply refuse to seriously address the needs of autistic adults particularly those with severe challenges who must live out their adult lives in the psychiatric hospital in Campbellton. It is difficult to avoid the conclusion that, when it comes to autistic adults in need of residential care and treatment, our governments, and/or some of their key advisers, simply do not care. Yesterday was Canada Day and Conor sported his Team Canada shirt to celebrate. He also debunked not one but TWO autism myths. Conor has received ABA based intervention at school for 8 years. 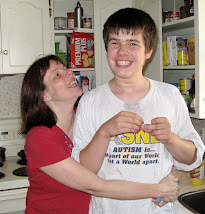 Yet, contrary to the myth that ABA causes discomfort and harm to persons with autism disorders, Conor shows his terrific smiles again ( see also side bar on this blog) debunking that nonsense yet again. He also debunks the myth that people with autism disorders do not like hugs and his Mom was very happy to assist in the demonstration! Today is Canada Day and I am very happy to be a Canadian living here in Canada. We can still enjoy living in one of the world's freest countries in the world. I am happy and thankful that Canada is my home. I am thankful for our freedoms, our beautiful natural environment and our national health care system that generally takes good care of all Canadians not just those who can afford the very best care. Not much positive though can be said on our national autism front, a point that was reinforced by the death this week of former Fredericton MP, national autism champion and all aground great guy Andy Scott. Andy did succeed in getting autism on the national agenda with his private member's motion M-172 and tried to follow up to push the Harper government to action. 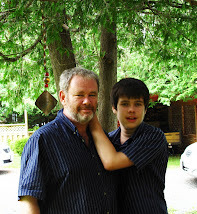 Our Prime Minister and his submissive federal health bureaucracy though have done absolutely nothing to advance the cause of Canadians with autism, particularly those with severe autism disorders ... Canadians like my youngest son. Notwithstanding lack of autism progress nationally though events of the past year have brought home to me all too forcefully that I am very lucky to be living in this wonderful Canada. When I could not breathe while waiting in an after hours clinic I received immediate care, was sent by ambulance to the emergency clinic of the local hospital and received acute care attention for a week at minimal expense. When Conor suffered grand mal seizures and an adverse drug reaction he received care for two weeks at the same hospital including 6 days in the intensive care unit where he received the medical attention that saved his life. 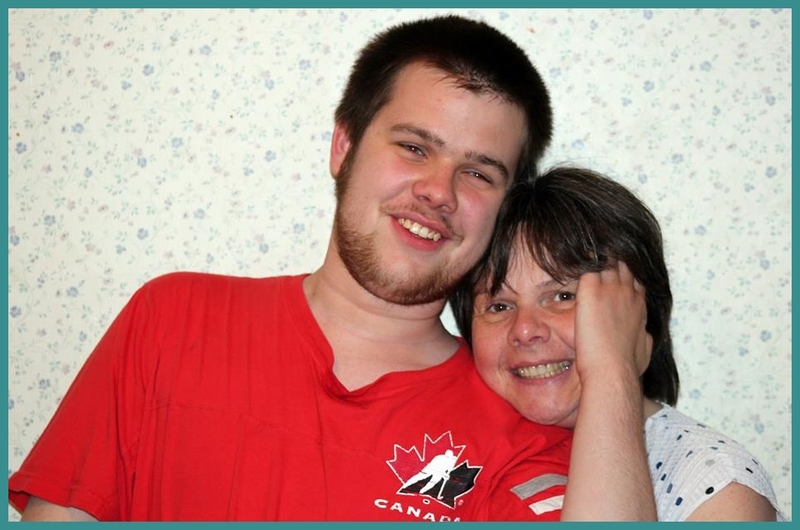 My family and I are fortunate to live in Canada even without national level autism effort. I will continue to fight on the national autism front with wonderful autism advocates like the members of Medicare for Autism Now! In the meantime I wish everyone a very happy Canada Day, eh!